AN OPPORTUNITY TO ACQUIRE A NEW HOUSE IN THE COURSE OF CONSTRUCTION BY HIGHLY RESPECTED LOCAL BUILDERS PELHAM STRUCTURES. Specialising in Green Oak and timber construction, Pelham Structures have for many years built some of the areas most attractive and individual houses completing new homes to exacting standards and high specifications. They carefully blend traditional Oak character features with a contemporary feel and specification to create first class family homes. These new houses offer three double bedrooms with the top floor bedroom having an en suite shower room. 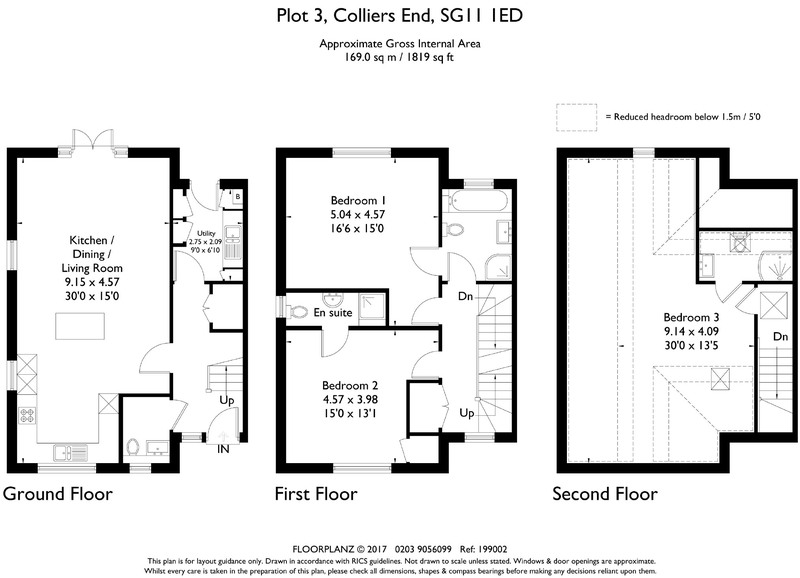 On the first floor there are two further double bedrooms, one en suite and a family bathroom with Jack and Jill doors to the third bedroom. The ground floor enjoys an entrance hall, cloakroom, utility room and an excellent open plan living room, dining area and kitchen. The garden adjoins fields to the rear with Indian Sandstone patio and a large garden shed/workshop. There is a driveway with parking for two cars.